Magnus Lindgren is a multi-talented creator of music. His ability to express himself on the tenor sax, clarinet or flute bears the sign of a real master. His greatness lies in the way he puts together the sublime samples of notes, the sound colors, the rhythm figures, the harmony sequences. All this in a truly organic way; no risk for overdoing. The final result brings a sense of dew-fresh contemporary statement. On top of this add his natural ability to accommodate the subtle quality from a large range of musical genres; then the comparison with the musical titan Quincy Jones is obvious. Therefore, it´s not surprising that Quincy is the mentor who Magnus admires the most, along with giants as Miles Davis and Herbie Hancock. In Magnus’ way of looking at it, those three legends have had the guts to always look further into the universal world of music, even though they already had proven their greatness. 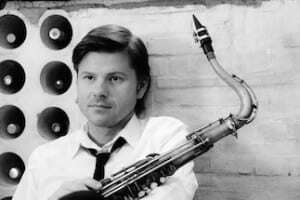 Batucada Jazz was released in 2009 and became the international break-through for Magnus Lindgren. Totally focused of integrating his own melodical world with Brazilian rhythm and dynamic sound he goes to Rio de Janeiro in order to collaborate with local musical profiles. Once again he receives a Swedish Grammy nomination and goes with the project Batucada Jazz on a world tour. The journey also includes an exclusive appearance for Quincy Jones, the mentor and the master. All music must come from the bottom of your soul, according to Magnus Lindgren. Therefore, it´s logic that his cd-project from autumn 2013 is called Souls. In a fertile collaboration with the American bass-player and producer Ira Coleman, Magnus has put together a nice couple of newly written originals. The disc with a certain club feeling and to some degree with old school technology was recorded in New York. The production Souls contents a spectacular group of international musicians, together with vocal artists with star glance. The capacity to catch a public with soul marinated music is a specialty for the trombone-player and singer Nils Landgren and his band The Funk Unit. Since 2008 Magnus is part of this constellation; an ensemble with global perspectives and an international audience. Hot club nights alternated with grand arena concerts and even interaction in Africa with youngsters who are receiving support and financing from The Funk Unit, in order to develop their own musical talents. In this environment Magnus fits in perfect, especially because The Funk Unit is focused on totally expressive musically figuration. The future promises to be surely exciting and various. The season 2013/2014 Magnus has been invited as Artist-in-Residence at the Vara Consert House in Sweden. At this institution he has had many possibilities to deepen his work with composition and arranging, through the cooperation with one of the foremost big bands – Bohuslän Big Band. Such an extra ordinary orchestra is of course an excellent source of inspiration. Especially since the artistic director of the big band is the creative Nils Landgren. A good number of new projects with high profile guest artists have occurred, for example with the new and acclaimed rising vocal star Gregory Porter from the US. During spring 2014 Magnus Lindgren interacted with even one more highly acclaimed voice artist from USA, namely Bobby McFerrin. A totally improvised meeting which developed to a considerable success in front of a sold out Stockholm Concert House, where the two soul brothers McFerrin and Lindgren came together as one heart, one soul. Magnus Lindgren also presented newly written music which was given the name Nordic Big Band Inferno. A suite for big band, harp and lightning. Once again, he shows his genius creativity when it comes to melody, sound clusters and dynamic togetherness between the different sections in the band. Harp, in jazz an odd instrument, is organically placed within the music and by placing the soloists at different places on the bandstand, with an extraordinary lightning, the music is placed in a context which is highly unique and even magic. The world´s leading jazz magazine Downbeat noted in an article 2013 that Magnus Lindgren surely is a music personality who is always on his way. As soon as you turn around he is heading for another place, always working to explore a new exciting project. The comment from Downbeat is definitely on the edge. Magnus Lindgren does not want to put up borders for what is possible to achieve; music in motion is a constant attraction and challenge.